Feliz Cinco de Mayo! | That Yum Factor! This place was by far the best Mexican restaurant that I have been to in awhile. I got to try several of the dishes and I was too excited to eat that I forgot to take pictures. Even the image above shows the chilaquiles AFTER I had already dug in. My mouth is still drooling as I dream about the mound of cheese that I consumed during that meal. 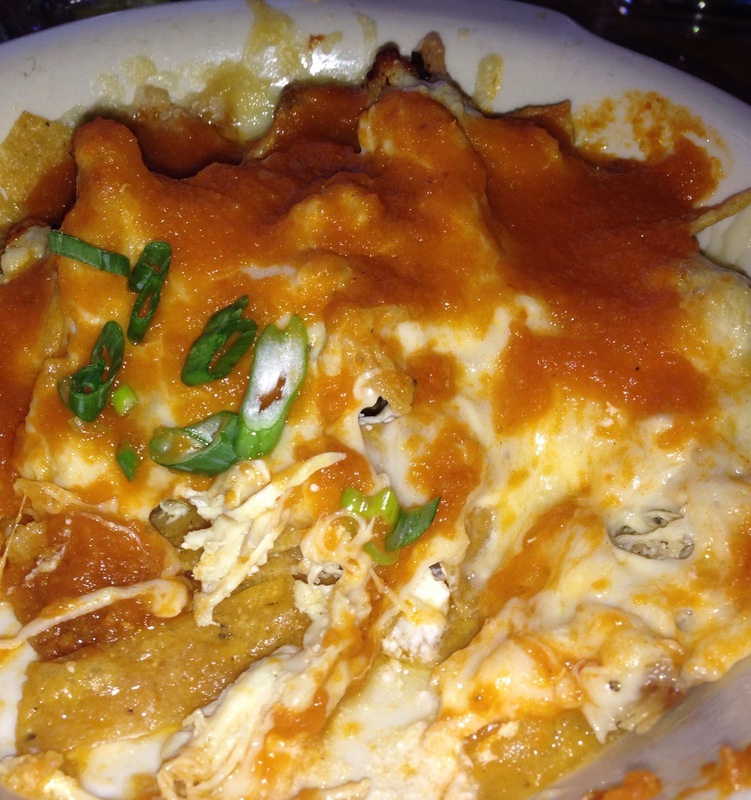 Chilaquiles are corn tortilla strips, shredded chicken, and cheddar cheese topped with Mexican crema and ranchero sauce. Everything from the drinks to the rooftop dining to the views of the city, this place is a must if you are in Brooklyn! Posted in Brooklyn - NY and tagged Carroll Gardens on May 5, 2015 by thatyumfactor.